co-op in Oak Park?’, and the other one said something along the lines of, ‘I don’t know’? After a couple more glasses of Dionysian bliss, the two decided to rectify the situation. They were going to open a co-op in our town. It would be known as The Sugar Beet. But, there was one big problem. How do you open a co-op? Well, the answer turned out to be multi-faceted. The first step was to let the community know their plans, and try to get others on board. Cheryl and Jenny, and many other volunteers did this by showing up each week at our local Farmers’ Market, meeting neighbors, handing out info, talking shop and just as importantly, getting to know the farmers. The Sugar Beet was a dream of locavores, and local farmers and local businesses would be key to the co-op’s success. Luckily, the second step was easy. We are lucky enough to have a lot of smart, and influential friends who have expertise in a variety of areas central to starting a business. Cheryl herself had a background in food service, and event-planning; Jenny is an English Professor, with great people skills and an infectious optimistic outlook. But, the Sugar Beet was obviously going to be a project that needed the assistance of many others. With Cheryl and Jenny at the head, meeting people and getting others involved, it did not take long for the co-op to go from dream, to possible reality. Cheryl’s husband Anthony is a graphic designer, and right off the bat, he dedicated his prodigious talents to giving the Sugar Beet a stylized image. T-Shirts with his designs began to be sold, and they started to pop-up all over town. Other friends worked in real estate (helping to find where the co-op may be located), architecture (what it would eventually look like) and city government (assisting in the rocky shoals of licenses, taxes, etc.) It quickly became obvious that the Sugar Beet was not just a handful of local moms and dads wanting healthy food for their kids. Thousands of local friends, neighbors and colleagues were pushing for the Sugar Beet to take off. And, take off it did. 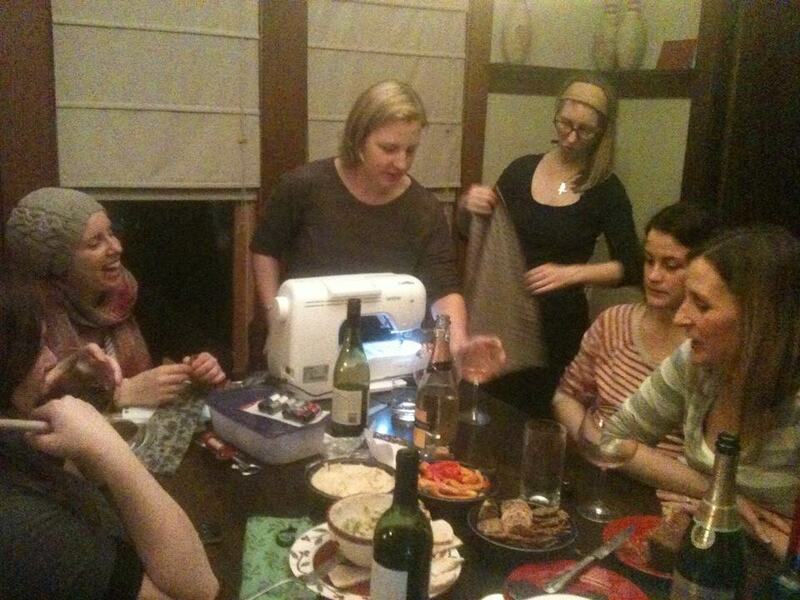 By summer 2013, the process was getting so complex that Jen started to back away. Of course she still supported and helped in whatever way she could, but she began to realize things were getting too specialized from the business side of things; sometimes getting out of the way is the best move to make. Cheryl, on the other hand was still the tireless leader and true heart of the Sugar Beet. She carried on with a million small and large projects to reach co-op completion. By 2014 the Sugar Beet had a physical space. 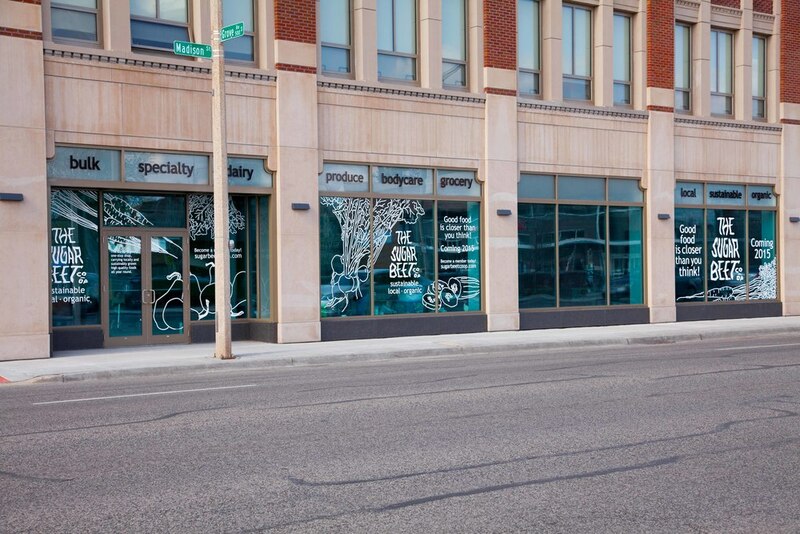 It was going to be located in a beautiful store front in the heart of Oak Park. Things were really moving now. During the last twelve months a wonderful staff was hired, and the Sugar Beet team started to set the place up. Every day the co-op was becoming more and more real. On July 30th, 2015, the Sugar Beet opened it’s doors. To describe it as beautiful doesn’t do it justice. I am not just referring to the physical environment of the shop (though it really is physically stunning: see video). No, I mean it is beautiful because of the fulfillment of so many dreams. The Sugar Beet was the shared goal of my community members, of my friends and of my family. As I walked through the sliding doors that opening day, and saw so many friends, so many shoppers buying good, healthy, often local food, I had a huge foolish smile on my face. It was satisfaction mixed with pure joy. 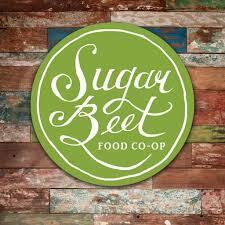 So, come on down to the Sugar Beet Co-op! Buy some great local beer, or some delicious local sausage, or some hilariously named local soap. My community, my friends and my family will thank you! I have driven by Sugar Beats so many times, wondering when it would open. I am really intrigued. On my way to work (the first pass of the day), I made the decision to stop in after I pick up my wife after work today. Being a former RMU student and having work published here, I decided to check in on the Flaneur’s Turtle before I started work today. Now I am even more excited to stop in because I know that the owners are RMU related. Kudos to you! I am so excited for all of you and wish I could have been a part of this endeavor. Best of luck!